Who doesn’t love fresh scones? 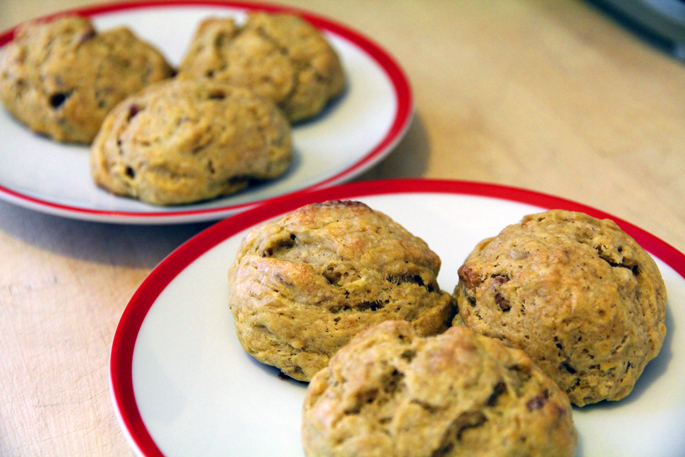 I’ve made these pumpkin pecan scones a few times (based on this recipe), but this last batch I made was definitely the best. I think the key was that I actually didn’t use a mixer this time. 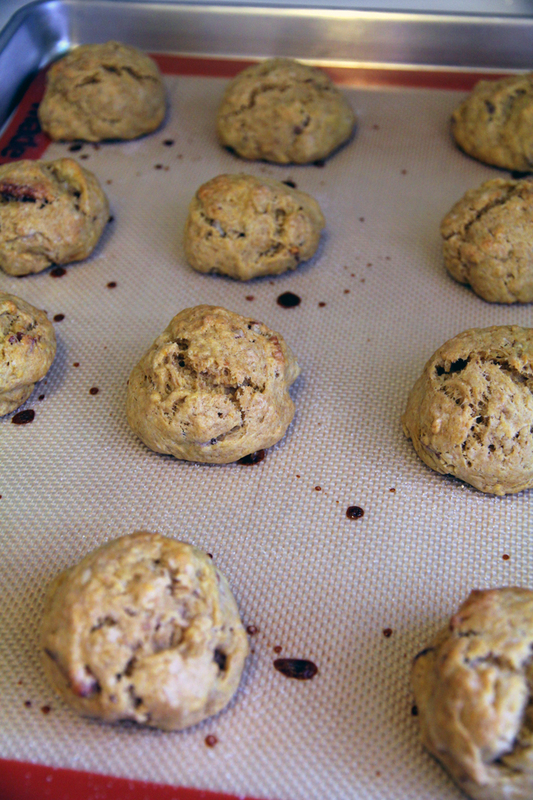 I kept over mixing the dough with the mixer, and I ended up with tasty but kinda rubbery scones. Even if you don’t get them perfect on the first try, these babies are absolutely delicious! The best part about this recipe is that the dough freezes really well, so you can just part out the dough to the right size and pop it in the freezer to set. Once they’re hard you can put them in a plastic bag and store them as long as you like. I always double the batch and freeze most of the dough. Then I bake them a few at a time so I can have fresh scones all week. Preheat oven to 400 degrees F and place rack in middle of oven. Line a baking sheet with parchment paper or use a Silpat. In a large bowl, whisk together the flour, sugar, spices, baking powder, baking soda and salt. Cut the butter into small pieces and blend into the flour mixture with a pastry blender or two knives (the knives take longer, but the scones turn out so much better!). 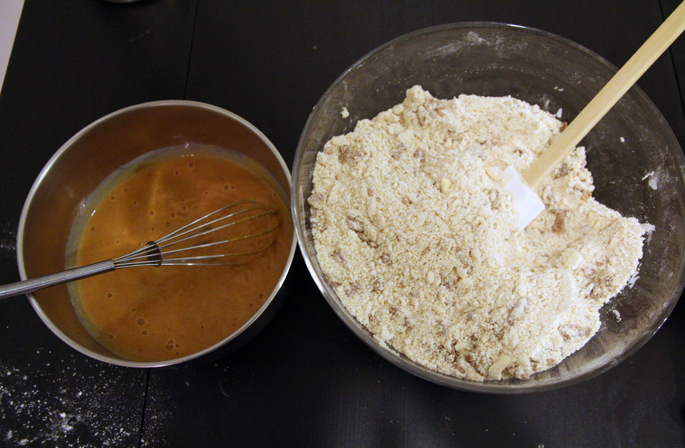 The mixture should look like coarse crumbs. Stir in the pecans. 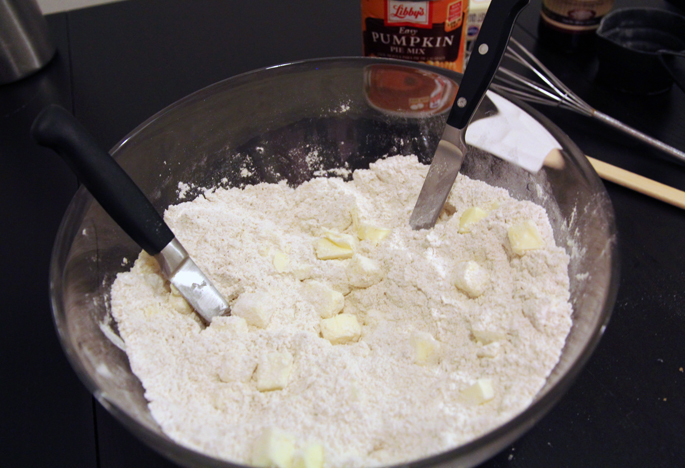 In a separate bowl mix together the buttermilk, pumpkin puree and vanilla and then add the buttermilk mixture to the flour mixture. Mix just until the dough comes together. Do not over mix the dough. Transfer to a lightly floured surface and knead dough gently four or five times and then pat the dough into a circle that is about 7 inches (18 cm) round and about 11/2 inches (4 cm) thick. Cut this circle in half, then cut each half into 4 pie-shaped wedges (triangles). Place the scones on the baking sheet. Brush the tops of the scones with the egg wash. If you plan to freeze the dough you can just pull off sections after kneading and form balls, but be careful not to handle the dough too much. Place the baking sheet inside another baking sheet to prevent the bottoms of the scones from over browning (unless you’re using a Silpat). 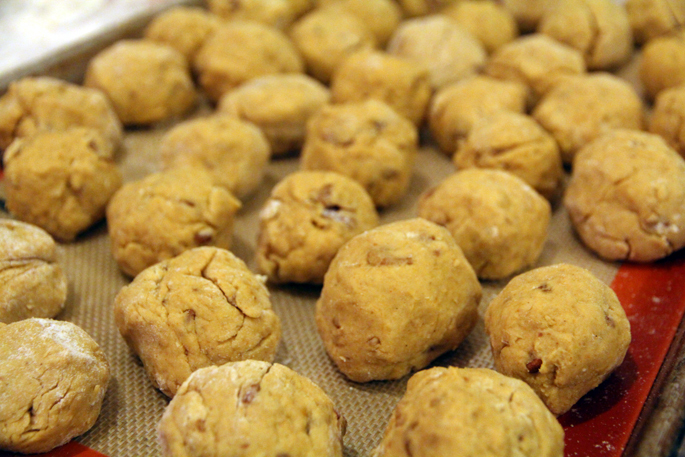 Bake for about 20 minutes or until golden brown and a toothpick inserted in the middle comes out clean. Transfer to a wire rack to cool.